Hey guys–nothing too fancy about this post today. 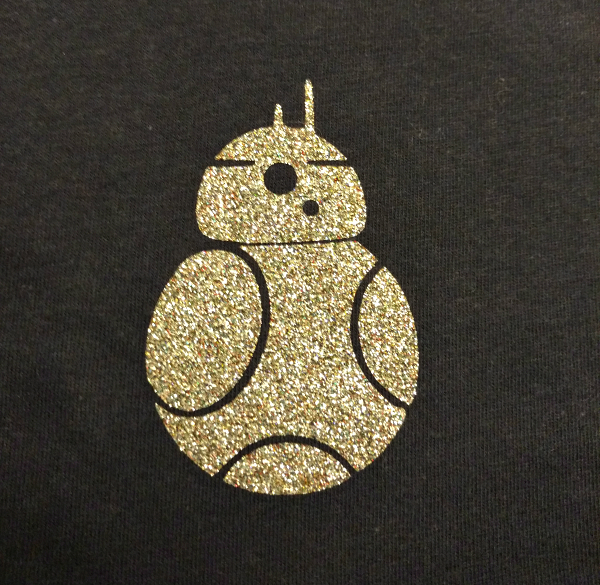 But I wanted to show off the Star Wars shirt that a friend had me make for her, just in time for The Force Awakens this weekend. 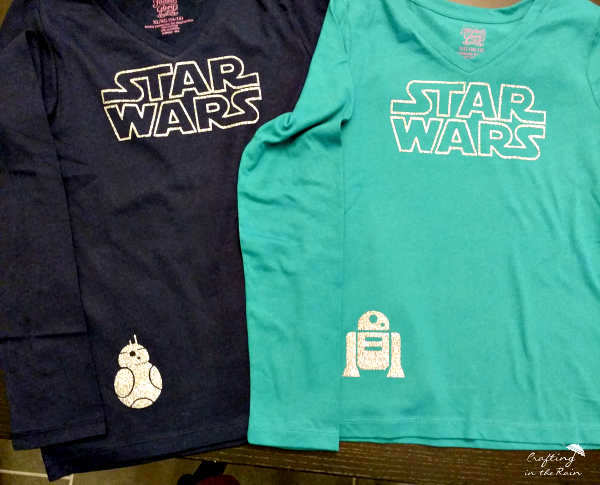 I ironed on the STAR WARS right in the top middle of the shirt, and the BB-8 and R2-D2 on the bottom left of the front. 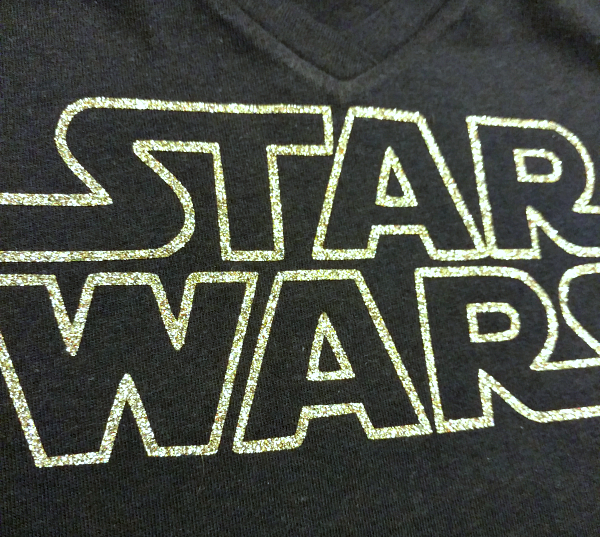 The vinyl is multi-color glitter, and as the light hits it, they look so cool. 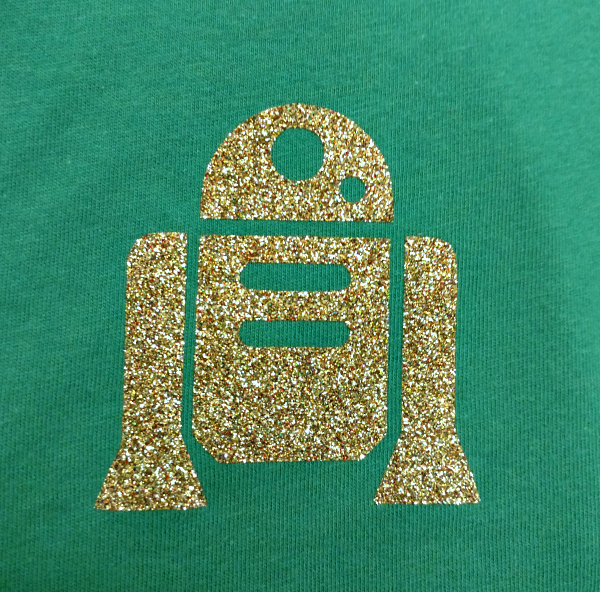 Click this link to download SVGs for the droid shirts. Thank you so much for this! 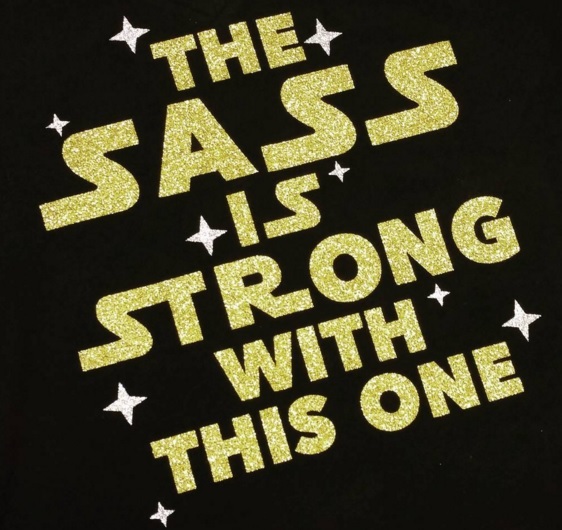 I saw a shirt like this on Pinterest and I was trying to figure out how to make an SVG file for it, but you had already done it for me! Thank you !